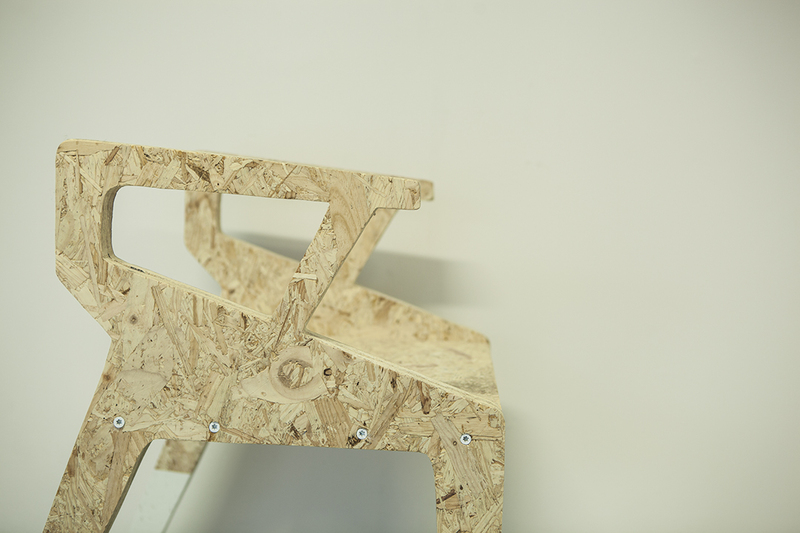 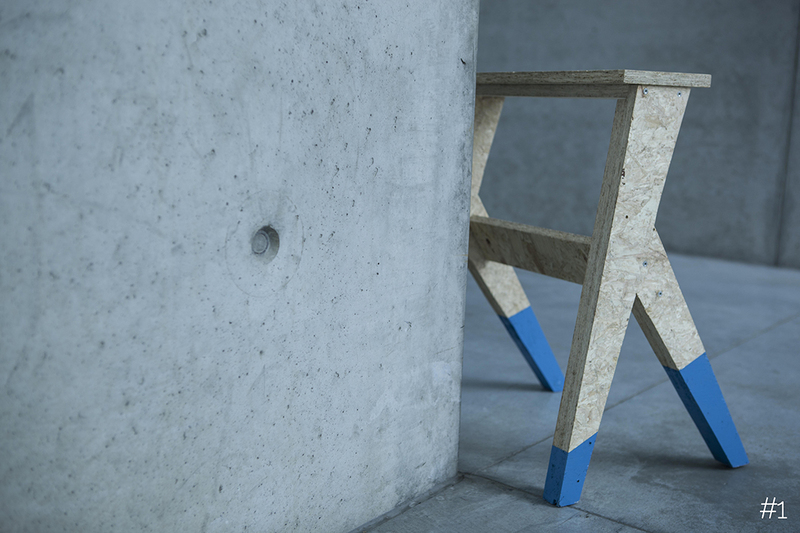 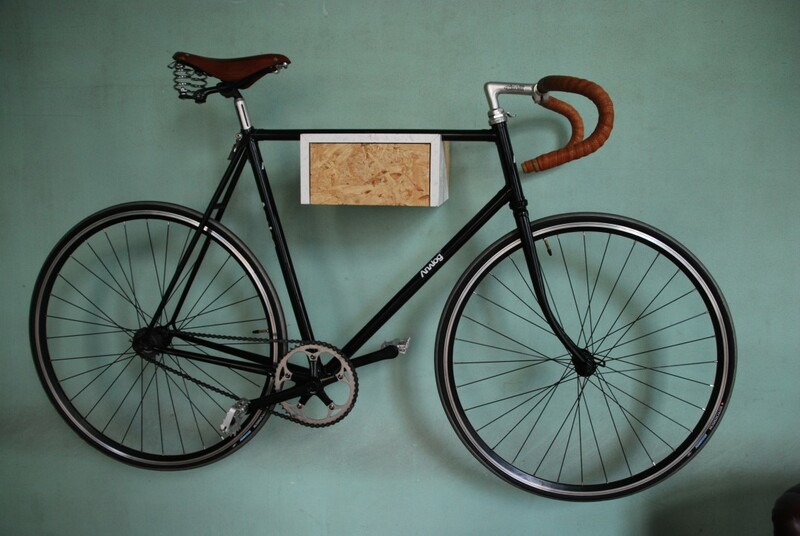 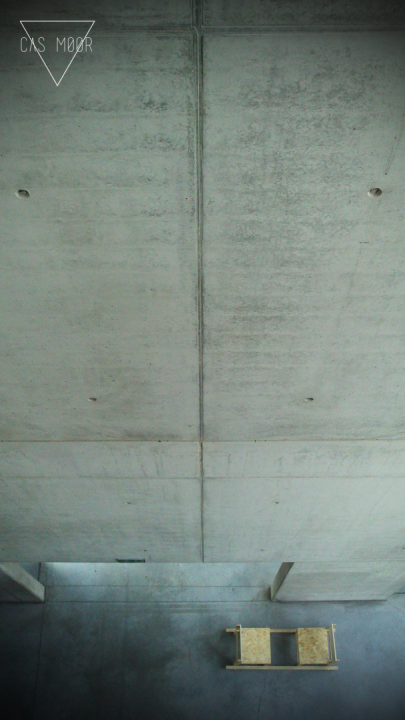 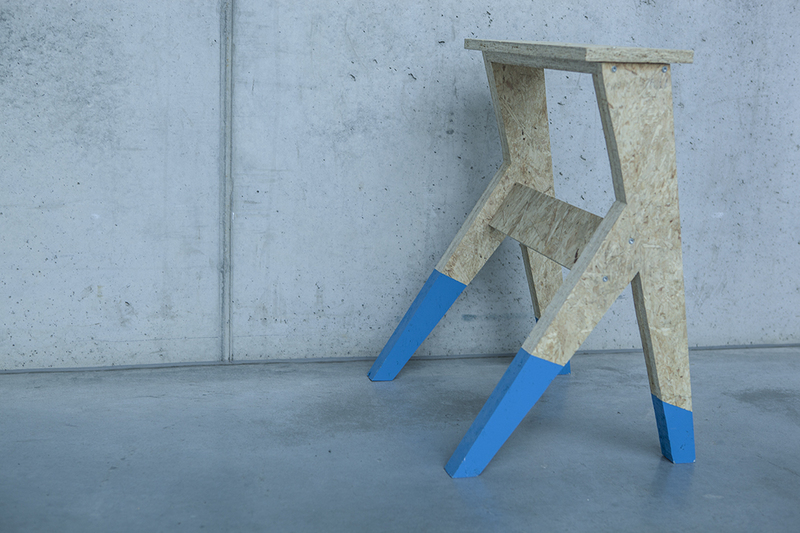 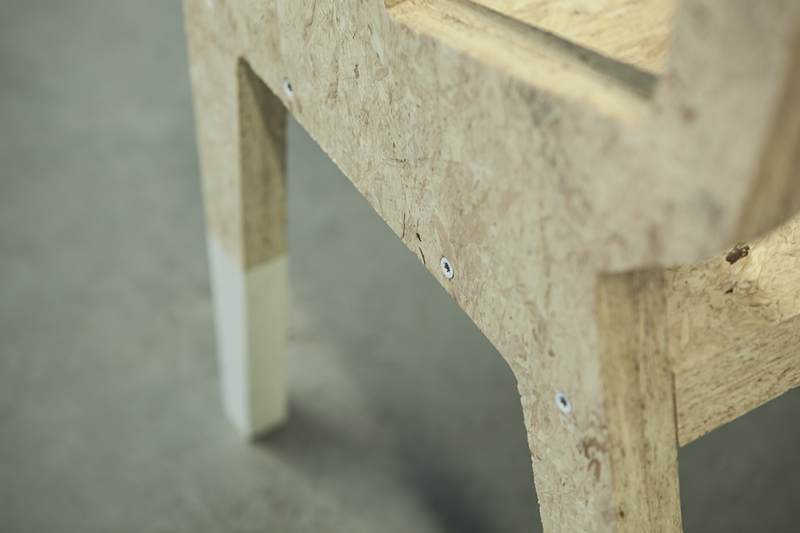 The collection is the result of an experiment with the material oriented strand board (OSB). 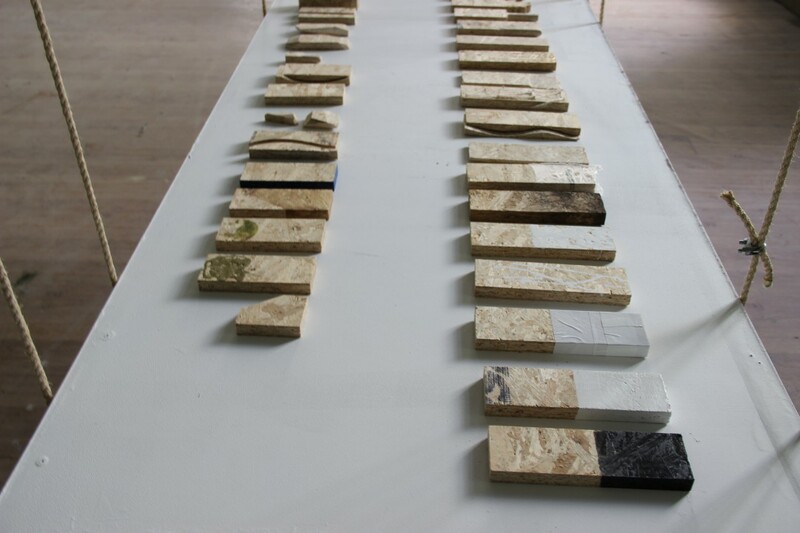 Every piece is a one-off and meant as a form study. 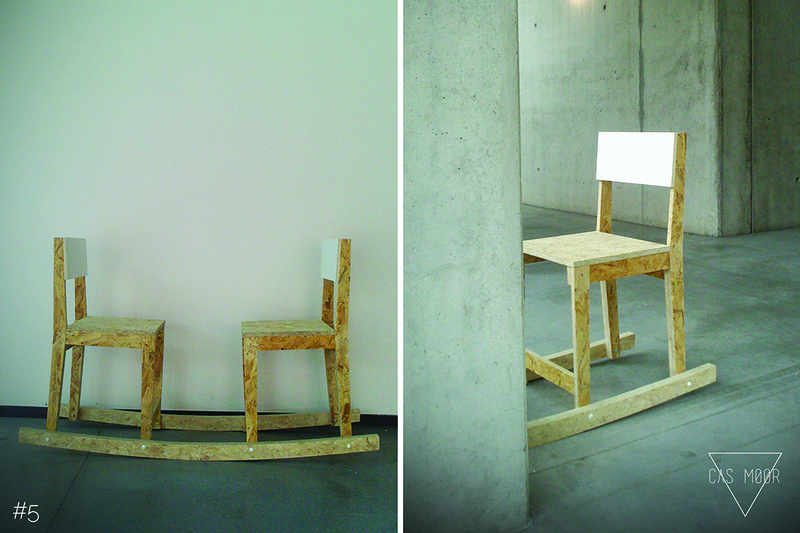 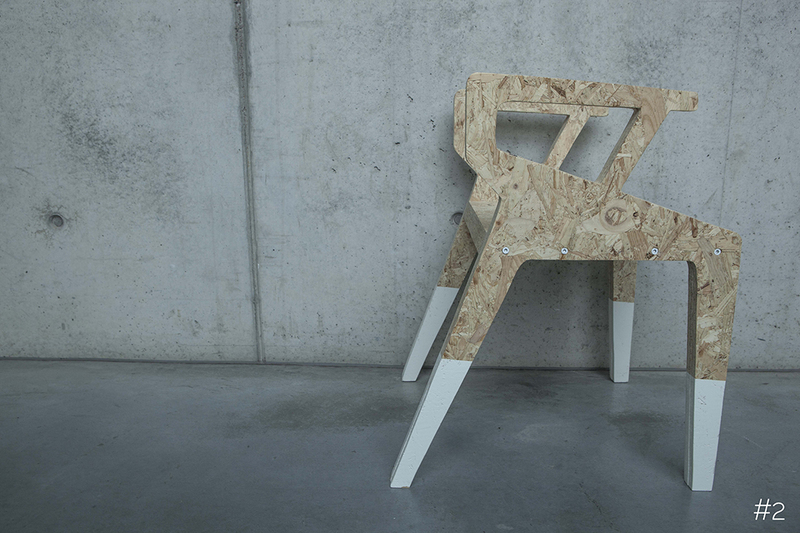 The handmade objects by Cas Moor include chairs, stools, a dual swing chair, trestle and table.